You’re starting on page 5 of this, click here to start at the beginning. 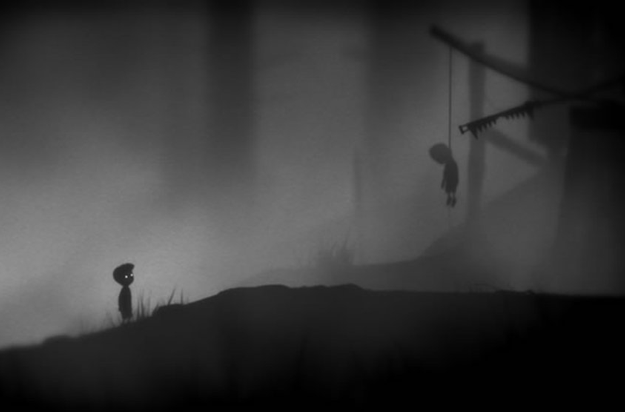 Playdead, the Danish developer behind Limbo, proposes far more questions than it seemingly has answers for. 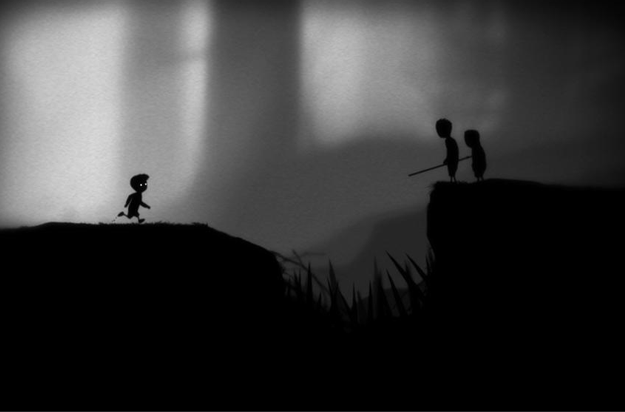 The somber title, the company’s first, follows a young boy who finds himself trudging through the uninviting, black-and-white world of Limbo in search of his missing sister. Similar to Journey, the game makes up in beautifully-rendered visuals and phenomenal sound design what it lacks in substantial context and duration. The platformer is endowed with a bevvy of crafty puzzles, littered with ambiguous hurdles looming around every corner, and stocked with a mass of hidden secrets warranting a second and third playthrough. It’s not a particularly robust title, but it’s executed in such a manner that leaves you cautious and extremely apprehensive about the eerie world swirling around you, whether sprinting through a dense forest or escaping the clutches of a colossal spider. It will likely connect with you on some cerebral level — even if a single word is never spoken. What you see is what you get, or so the premise of Closure goes. It’s an unnerving title, fraught with surreal animation and distantly-dour music, yet it’s a standout due to the cleverly-designed puzzles and creative implementation of light and dark elements. 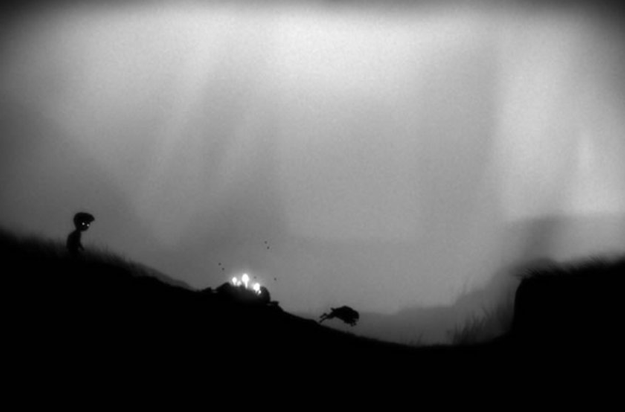 With Closure, the player dons the role of a spider-like demon, exploring the stories of three human characters through an abundance of dimly-lit monochromatic environments while searching for way to open the featured door in each level. It’s a trial-by-death platformer, coupled with a gradual learning curve, requiring you to manipulate light sources in order to reach the other side of the darkness or locate the shrouded key. Areas devoid of light aren’t only eerie and unsettling, but also intangible, meaning you fall directly into the abyss below if you don’t illuminate the path in front of you using the glowing orb at your feet, adjustable lamps, or other light sources at your disposal. Therein the challenge lies in the uncertainty of the next step, not in what you can see. Breaking bricks is an age-old video game tradition. It may have began with Pong, but Sidhe Interactive’s Shatter is more of an expansive re-imaging of the arcade classic Arkanoid than it is the Atari’s ball-and-battle phenomenon. Not only does the inventive and colorfully-vibrant puzzler place players in control of a paddle armed with the ability shoot a ball, but it presents tools for sucking in and blowing air, thus offering new refinement methods for slightly altering the ball’s trajectory aside from the usual power-ups and special attacks. Each of the ten 3D-styled stages looks slick, allowing the player to effortlessly glide along the edge of the square or spherical frame, and completed when you’ve manage to shatter the last remaining brick. Boss battles are challenging and gripping, accompanied by a top-notch electronica soundtrack and immersive leaderboards that add a deeper ambiance and engagement to the title’s already-enticing pastiche. Shatter is a giant leap for an increasingly-vexed genre, one that couldn’t arrive sooner. Music has always been the compelling, atmospheric backbone to the best titles. However Sound Shapes takes said foundation to an entirely new level of immersion and accessibility. Controlling an amorphous blob, players run, jump, and climb their way through five themed levels, each constructed by a different composer and artist. Although it features platformer mechanics at heart — shuffling your avatar from one turntable to the next — collecting coins and interacting with the environments allows you to add notes and subsequently flesh out the various component’s to each level’s accompanying song. Some stages, like Beck and Pyramid Attack’s “Cities,” are melancholic ventures through apocalyptic cityscapes, while others like Deadmau5 and PixelJam’s “Invaderoids” spring your globule into cavernous worlds of stressed beats and a chiming synthesizers. The campaign is lengthy, even infuriating at times, but it’s the game’s built-in level creator that makes it worth revisiting. Need more? Check out our comprehensive Sound Shapes review. It’s not every day you run across a game with as many philosophical ruminations and mature, underlying themes as Number None, Inc.’s Braid. 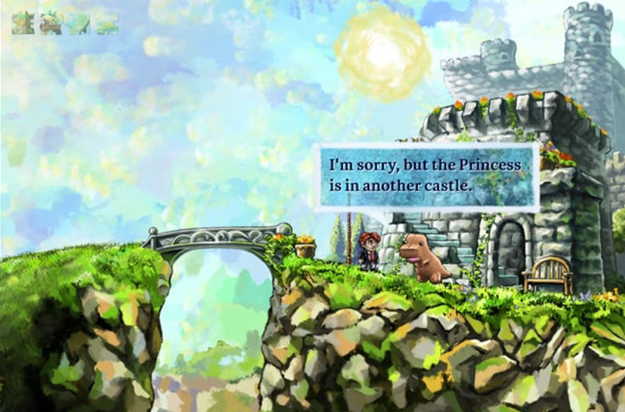 It’s a classic save-the-princess platformer in the broadest sense, but the emotionally-stirring gameplay mechanics are driven by what quickly evolves into an atypical and exceptionally-peculiar storyline that exceeds its water-colored, 2D restraints. Players ultimately run and jump through an assorted series of worlds as protagonist Tim, harvesting puzzles pieces telling of his woebegone regrets while solving commendable puzzles adrift in an air of melancholic nuances and moody background music. 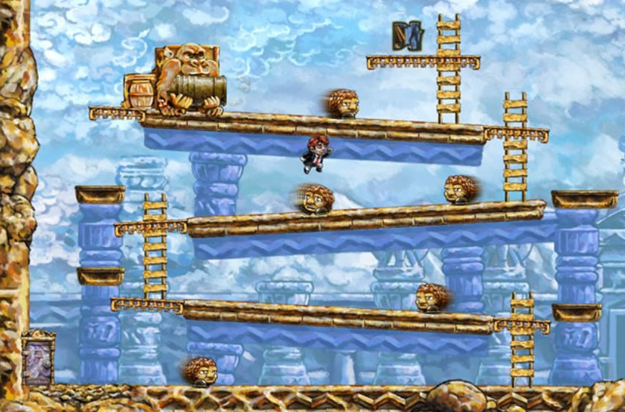 If the storyline isn’t distinct enough, Tim also possesses the ability to reverse time a la Prince of Persia, allowing players wipe away their previous failures and start anew at the push of the button. 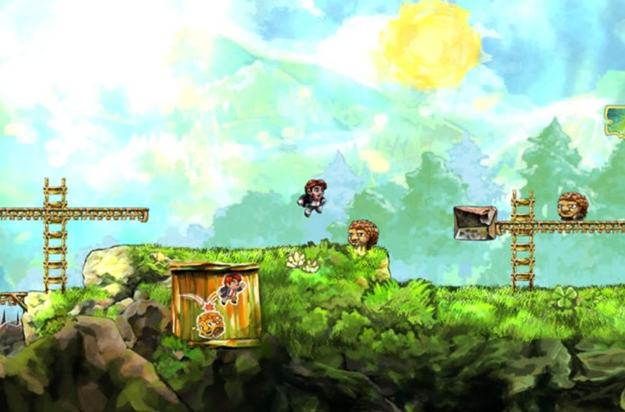 If there ever were any doubts regarding how talented rising indie developers are becoming, Braid will provide the answer.